Every journey begins somewhere. And where that is, can mean the difference between a life merely lived… and a life lived loud. Earn up to 162 Points Points. From the start, this smoke shows intense levels of creaminess that help to round out the spice and sweetness of the Corojo binder. Its combination of Dominican and Honduran tobaccos add to the profoundness of the flavor profile. The Connecticut wrapper pulls the blend together and helps to enhance the overall experience. 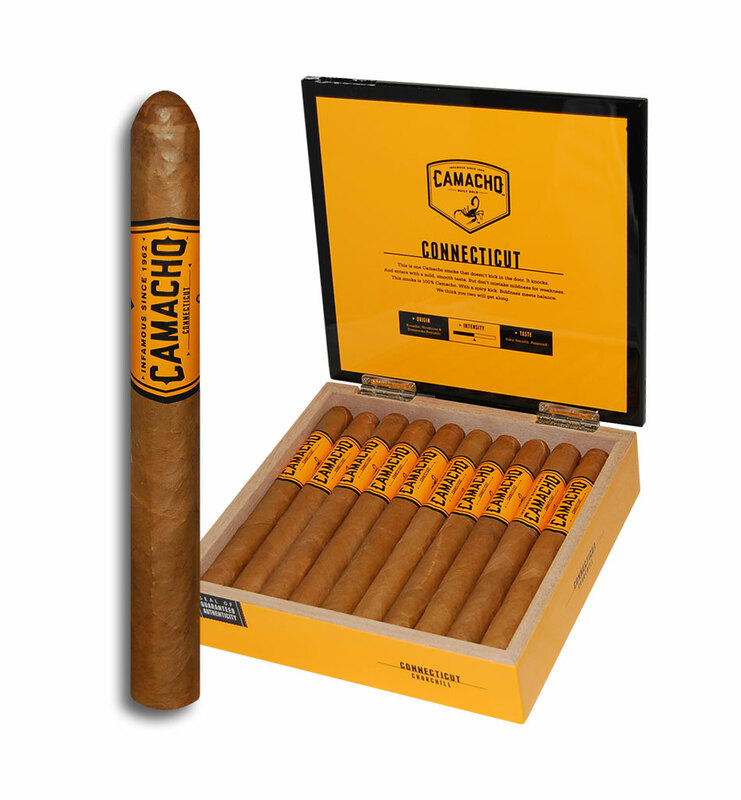 For milder smokers, Camacho Connecticut is an easy and enjoyable step up in intensity. It’s a smoke that doesn’t kick in the door. It knocks, and then enters with a smooth, inviting taste. But don’t mistake smoothness for weakness. All the rich, deep flavor and spicy kick you’d expect from Camacho, but without the knockdown power.